When you’re jetting off somewhere new for the weekend it’s tempting to throw everything you own in a bag ‘just in case’. After all, the best long weekends are all about the totally unexpected - you never know when you’ll need that pair of dancing shoes. Or tin opener. But overpacking / panic packing can be expensive, not to mention annoying. You don’t want to be stuck paying extra baggage fees before you even fly (there goes your duty free budget!) Or lugging an overstuffed suitcase around all day if your check out is at 11am, but you don’t fly until 4pm. Here are BeRightBack’s tips for packing a delightfully light bag - with plenty of space for souvenirs. Budget airlines tend to move the goalposts when it comes to cabin bag allowances, so always check before you fly. At the time of writing, a standard Easyjet ticket allows ONE piece of cabin baggage per customer. There’s no weight limit, but your bag must be 56cm x 45cm x 25cm including handles and wheels. Ryanair recently updated their size guides, so a standard ticket only includes one small bag (max 40cm x 20cm x 25cm) which has to fit under the seat in front of you. Extra weight or extra bags are going to cost you more, but if you plan in advance you won’t need to cough up extra in the airport queue. Like the rainforest, or a coral reef. Everything needs to live together in sweet harmony - shoes, toiletries, phone charger and that weird bottle of Polish liqueur. 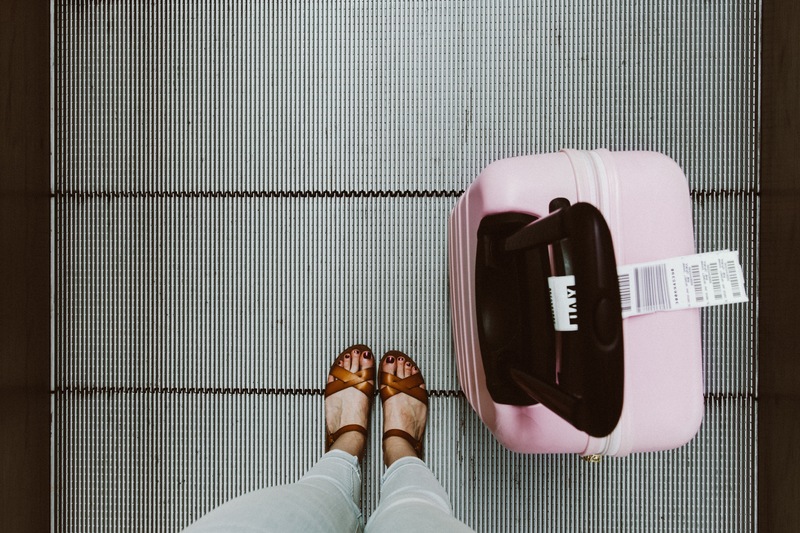 We recommend putting heavier things in the bottom of your suitcase (like shoes and liquids) because it’s much easier to roll your bag through the airport when the weight is at the bottom. Work with the space you’ve got: roll up clothes rather than folding them (it avoids creases and they pack down smaller) and remember your shoes are basically empty bags when you’ve not got them on your feet. Store your socks / underwear / jewellery inside! Make sure to pack properly for your return journey, as screwed-up clothes take up much more room. You want to make sure you’ve got space for that strange-tasting souvenir booze. If you’re somewhere new and fabulous, your outfit doesn’t need to be new and fabulous. We promise you. Your photos are going to look fire anyway, because you’re happy and smiling and ON HOLIDAY. That said, we’ve got some tips for packing your best outfits the smart way. Layering is your friend - especially when the weather is changeable, so make sure to pack lighter tops and then a heavier sweatshirt or knitwear. Bring clothes that are comfy to wander around in, but can be dressed up for dinner (shirts and jumpsuits are your friend, here.) Darker colours don’t show stains as easily, and they tend to coordinate better with the rest of your wardrobe. Remember whatever garms you pack, roll them instead of folding to give you a better chance of looking fresh when you get to your new and fabulous destination.